Slim Case BASE is a lightweight carrying solution for your personal device. Your notebook is well protected thanks to the cushioned notebook compartment. With the help of a removable strap, the notebook is kept in place inside the bag. You can either carry the bag with the comfortable neoprene handles or use the detachable shoulder strap. Documents can conveniently be stored in the designated slip pocket at the backside of the bag. The functional front pocket offers enough space to store accessories and other personal belongings you want to have close at hand. 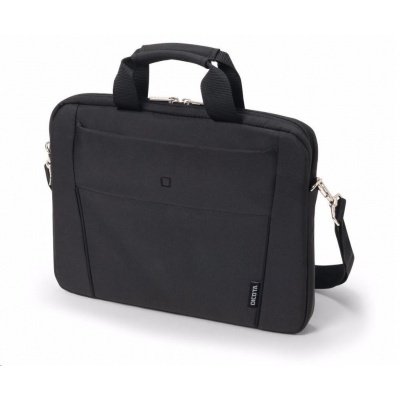 This makes Slim Case BASE the perfect bag for those on the go. The case is available in three sizes. Choose out of the four colour versions black, grey, red or blue and individualise your style.